Another Stunning Display of Ineptitude by the Fillingame Administration……..
Bay St. Louis attorney Stephen Benvenutti told the council the city’s comprehensive zoning ordinance was never published, as required by law, when it was adopted by the previous City Council in 2010. Municipalities are legally required to publish zoning change proposals and other significant measures in the municipality’s local newspaper within 30 days of a council’s vote. The newspaper of record for municipalities in Hancock County is the Sea Coast Echo. “You’re – in essence – healthy,” Bobby Culumber, of Gulfport-based CPA firm Culumber, Harvey & Associates, told council members at a workshop meeting on Thursday. 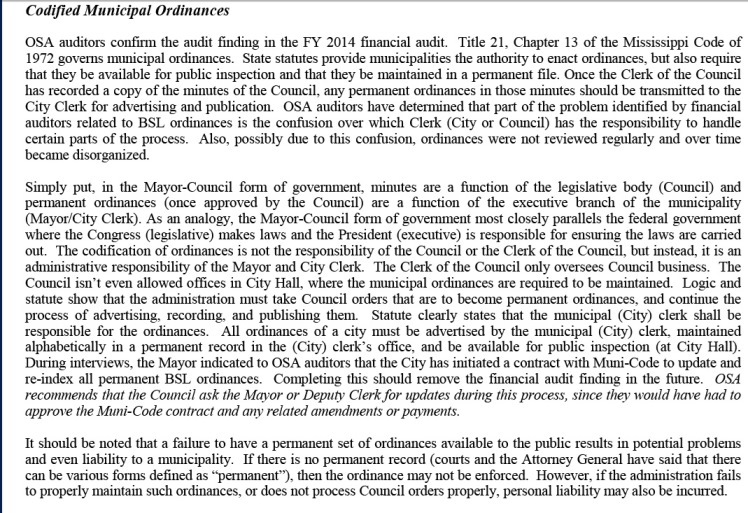 Author Douglas HandshoePosted on March 23, 2017 Categories SopTags Bay St Louis City Clerk David Kolf, Bay St Louis Mayor Les Fillingame, City of Bay St Louis, Municipal Ordinances23 Comments on Another Stunning Display of Ineptitude by the Fillingame Administration……..